Several people were wounded by a massive blast in the Swedish capital on Wednesday night, Spuntik reported citing the newspaper Aftonbladet. 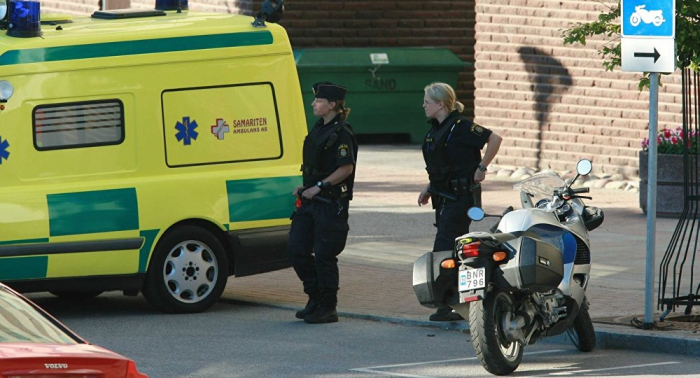 The police received some calls overnight from people reporting loud banging noises in Vinsta in the western part of Stockholm, representative of the Swedish police Fredrik Andersson stated. According to him, the blast occurred at 1:00 AM local time (3:00 AM GMT). Andersson also said that several people had been admitted to the hospital with minor wounds, adding that one of the victims had been injured by glass shards following the explosion. Police have temporarily blocked off the area and started a preliminary investigation into the cause of the incident, however, at the moment there is no official information about the issue. This is the second large blast to rock the Swedish capital this month. Previously, a bus exploded in the centre of Stockholm in the Klaratunneln tunnel and swiftly caught fire. The driver, however, managed to escape the vehicle with only minor injuries.